Welcome to Kinetic Arts Center! 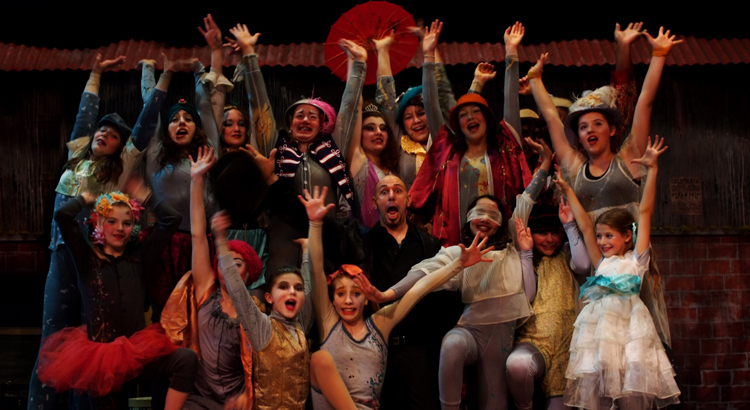 Kinetic Arts Center creates innovative and dynamic circus culture through exceptional classes, training and performance. we produce as many new and exciting circus shows as possible. Welcome to Kinetic Arts Center – Come on In and Join The Circus! i won a lesson with emily in a silent auction and she was great- very attentive to form so you don’t hurt yourself while stretching and doing the tricks, and also good at adapting to everyone’s skill level. we did a bit of climbing up ropes (i feel so badass even with my wimpy arms), flipping around trapeze bars, and hanging by our legs on aerial silks (wha?? no hands??). i can see how this could get addictive. this is literally the best full body workout activity i’ve ever done (with martial arts and climbing coming in as seconds)- great core and arm strength training plus flexibility and balance. i’m pretty sure your first class is free, so you should at least try it once for yourself. i would seriously consider making this my new workout if i lived closer :/ also p.s. super queer friendly. well, it’s the circus so duh.